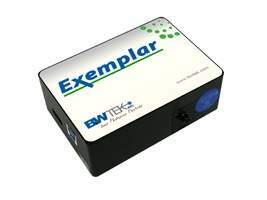 B&W Tek is a leading provider of advanced optical spectroscopy instrumentation and related solutions for chemical, biomedical and pharmaceutical applications. We specialise in the provision of innovative laboratory-based, portable and handheld Raman spectrometry systems for material identification and verification purposes. We offer a wide-ranging catalogue of solutions by coupling our core cutting-edge technologies with custom design and manufacturing capabilities, providing clients with a ‘one-stop shop’ for all their spectroscopy technology needs. 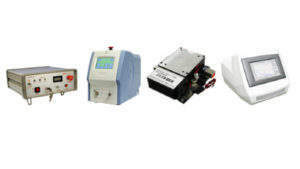 B&W Tek is a worldwide leader in the design, manufacture and supply of high-performance Raman spectrometry systems, with more than 10,000 spectrometers shipped to date. Our laboratory-quality solutions are delivered through user-friendly mobile platforms to ensure maximum operational efficiency, and our product catalogue includes a number of ultraviolet-visible (UV-Vis) and near-infrared (NIR) spectrometers to meet a versatile range of customers requirements. We also offer a selection of diffraction limited, spectrum stabilised and high-power laser systems for specialist applications, in addition to a portfolio of sampling accessories and broadband light sources to support a variety of industrial projects. B&W Tek’s extensive collection of product lines allows the company to offer clients a complete bespoke setup tailored to their needs using a varied assortment of ready-to-use, off-the-shelf equipment, which is all built and developed in-house by its dedicated design team. 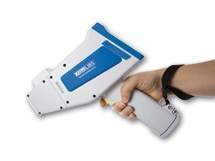 B&W Tek’s NanoRam is a state-of-the-art handheld Raman solution that has been carefully optimised to deliver reliable nondestructive identification and verification of a wide range of materials and compounds, including active pharmaceutical ingredients (APIs), intermediates, excipients and finished products. 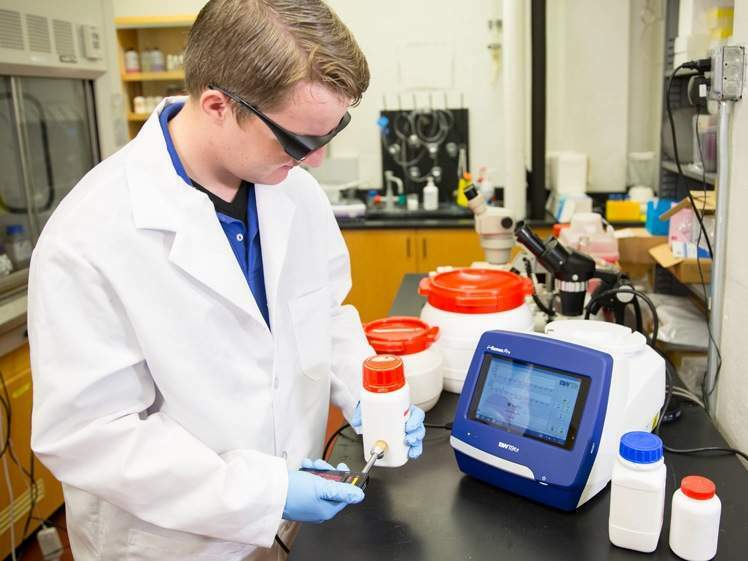 This intuitive and easy-to-use spectrometer can be operated by non-technical personnel to rapidly identify samples in the lab, warehouse, loading dock or field, helping eliminate the need for quarantine areas and expediting materials through the manufacturing lifecycle. The use of Raman technology enables the performance of thorough non-contact analysis through the surface of transparent containers, while ensuring the volume and integrity of the sample remains unaffected. Our NanoRam system is fully compliant with all the latest industry regulations, including 21 CFR Part 11 and Part 1040.10, and is ideal for integration into facilities compliant with current good manufacturing practices (cGMP). We are able to provide a variety of support services to ensure customers receive the highest possible benefit from our innovative technologies, including assistance with method and / or new library development, as well as support with the implementation of installation, operational and performance qualification processes. 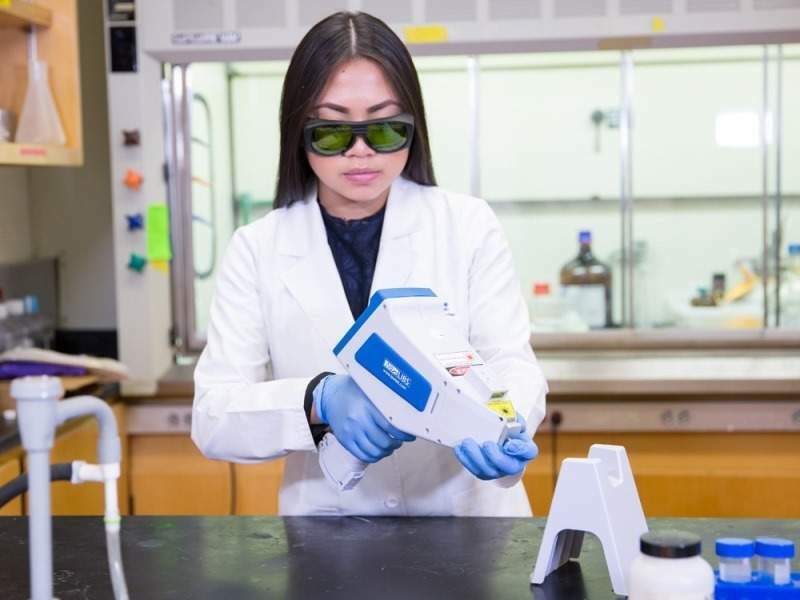 B&W Tek’s NanoLIBS® is a pioneering handheld, laser-induced breakdown spectroscopy (LIBS) instrument that is able to quickly and accurately identify monatomic ionic salts using elemental analysis methodology. The NanoLIBS system is compliant with the World Health Organization’s (WHO) good manufacturing practice (GMP) standards and offers significant time savings during pharmaceutical raw material identification and confirmation processes. This innovative technology has also been proven to increase productivity and contribute to the safety of the end-product. Our minimally destructive LIBS technology is ideal for identifying monatomic salts such as potassium chloride (KCl) and sodium chloride (NaCl) without the need for reagents, while mitigating the lengthy and inconvenient sample preparation processes that are often required when using destructive laboratory methods. B&W Tek’s lightweight NanoLIBS device features a bright and easy-to-use touch-screen for additional operational efficiency, and is able to delivers rapid material information via ‘identification’ and ‘investigation’ modes. The powerful system provides dependable pass or fail results in a matter of seconds and also features a built-in 2D barcode scanner. Our NanoLIBS ID data management and reporting software for PC is included with the solution as standard to allow for quick and easy setup. B&W Tek’s i-Raman® Pro ST is the newest addition to the award-winning i-Raman series. The portable i-Raman Pro ST system dramatically enhances the Raman signature of the content, enabling the rapid identification of materials inside a variety of visually opaque containers, including white plastic bottles, tablet coatings and paper envelopes. Our advanced i-Raman Pro ST unit is equipped with a specialised sample probe and high-throughput spectrograph, allowing the device to collect Raman signals generated underneath diffusive top layers, while simultaneously ensuring their signature does not overwhelm that of the sample itself. The i-Raman Pro ST features a fully integrated computer that leverages user-friendly software to facilitate quick and efficient material identification, as well as real-time analysis of materials. 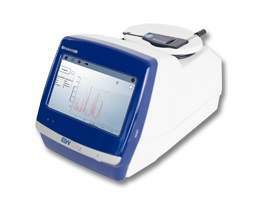 In addition, the system is able to operate via battery power in order to deliver research-grade Raman capabilities anywhere they are required. B&W Tek was initially founded as a producer of green laser systems in 1997 and has since developed into one of the industry’s leading providers of spectroscopy technology. We are committed to providing clients with complete packages of cost-effective, high-quality solutions and place a heavy emphasis on strong vertical integration to maximise efficiency and growth. We offer customised combinations of products, systems and software to ensure customers receive the optimum solutions for their individual project needs. 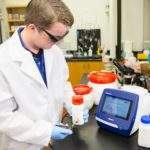 B&W Tek has launched its fully comprehensive website, contentuniformity.com, where users can learn about QTRam® and the benefits of transmission Raman spectroscopy. 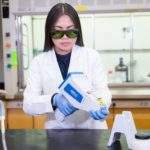 Content uniformity (CU) testing is a crucial task in pharmaceutical manufacturing, as it ensures that each product that reaches a consumer contains a safe dosage of the active pharmaceutical ingredient (API). 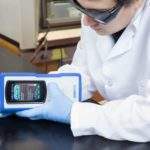 The invention of handheld Raman spectrometry systems has had a significant impact on the way the chemicals sector carries out quality control checks for new raw materials and compounds. B&W Tek’s NanoLIBS® solution is a pioneering laser-induced breakdown spectroscopy (LIBS) system that has been specifically optimised for use in a wide range of chemical applications. B&W Tek’s extensive line of portable Raman spectrometers provide industry-leading sampling capabilities, enabling users to carry out a range of processes using a single versatile unit. We are proud to offer one of the most extensive catalogues of modular spectrometry solutions currently available on the market. B&W Tek’s dedicated engineering and project management personnel are committed to ensuring that both clients’ project requirements and overall business objectives are addressed as closely and efficiently as possible. 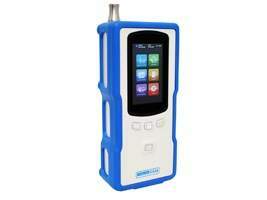 A brief video outlining B&W Tek’s range of spectroscopy systems. 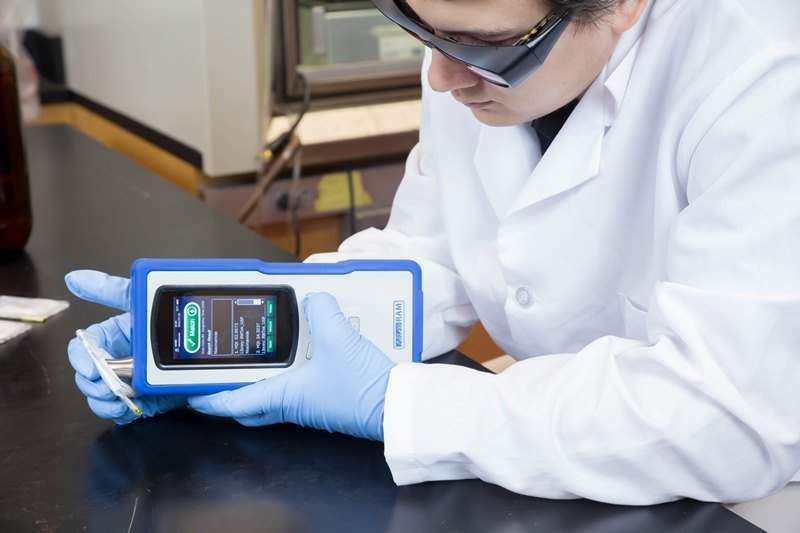 B&W Tek’s compact NanoRam solution is cutting-edge handheld Ramen instrument that offers quick and reliable non-destructive identification, verification and testing of incoming raw materials for chemical applications. Mobile spectroscopy solutions company B&W Tek has released the latest versions of their NanoRam® operating and data management software packages: NOS V5.16 and NID V5.16. Scientific instrumentation specialist B&W Tek is pleased to announce the launch of the QTRam™ system, which has been specially developed to provide effective non-destructive, real-time content and blend uniformity measurement for chemical applications. B&W Tek is pleased to announce that the company will be taking part in the CPhI North America conference in Philadelphia, Pennsylvania, US, from 24-26 April. Mobile spectroscopy technology specialist B&W is pleased to announce than the Spinco-B&W Tek Center of Excellence Lab in India was officially opened on 19 March 2018. US-based spectroscopy specialist B&W Tek is pleased to announce that the company’s innovative STRaman™ Raman analyser for See-Through (ST) analysis through opaque barriers has been awarded a Pittcon Today Excellence Gold Award at the 2018 Pittcon Conference.